This was such a time-consumer and at times it made me want to throw my work out of the window, but in the end I'm happy with my outcome. 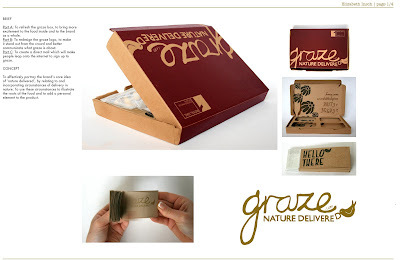 YCN set this as one of their competition briefs, and while choosing which one to pick, I visited graze's website and became addicted. After their yummy food had me caught, it then got a hold over my flatmates and we ended up with about 8 graze boxes! 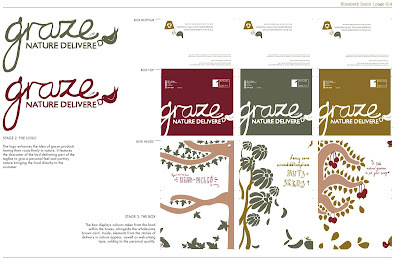 The brief asked for a new logo, a redesign of the graphic elements on the graze box, and a direct mail to catch the interest of potential new customers. 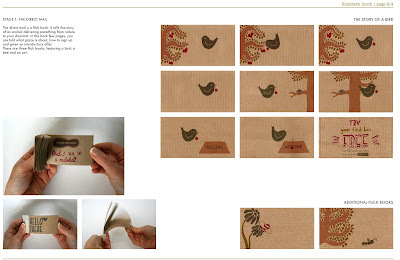 It was a lot of work, but once I had my concept of nature delivering to your door, it fell in to place. 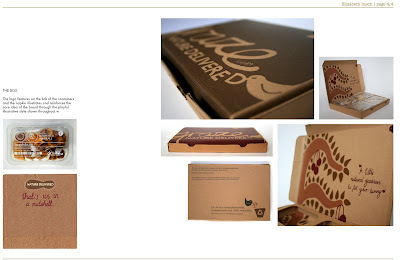 My box and logo design focus around the animals which deliver in nature, and my direct mail is in the form of a flick book. 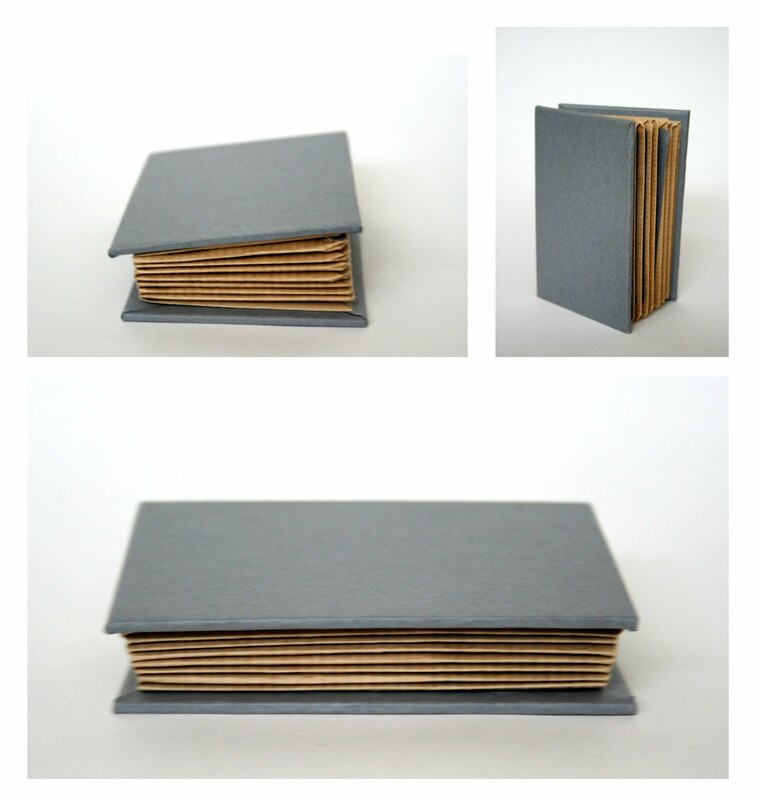 The flick book tells the story of an animal collecting something, then taking it past their home and delivering it to your door. Me and rach signed up for a bookbinding workshop a couple of weeks ago, and this is one of the end products! It was unbelievably fun, and although we had loads of other work we needed to be getting on with, it was a nice, therapeutic day - we felt like a couple of those middle-aged mums who sign up for crafty evening classes. But now I feel an addiction developing and I keep trying to find excuses for something to make.